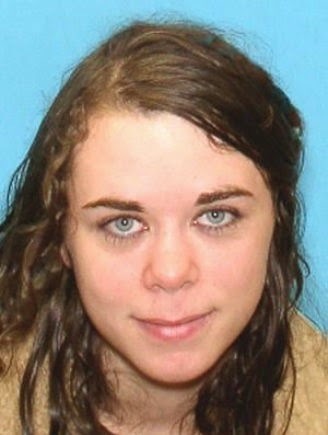 TITUSVILLE, Florida -- Brevard County Sheriff's Office Homicide agents have arrested a Leesburg man in connection with the murder of 24-year-old Jennifer Hedges whose body was discovered in the Indian River Lagoon on October 9th. 44-year-old Lance David Berning of Leesburg, Florida was arrested today after an arrest warrant was issued charging him with First Degree Murder. Berning was taken to the Lake County Sheriff’s Office where he is being held without bond pending extradition to Brevard County. The investigation began on Thursday, October 9, 2014, when Deputies were summoned to the shore of the Indian River near Titusville after a boater located an object believed to be a human body. The Sheriff’s Dive Team responded to the site and recovered the partially submerged body. An autopsy later determined the death to be a Homicide. Investigators say that the break in the case came early this week when information was provided to Sheriff’s agents from detectives with the Lake County Sheriff’s Office. Detectives in Lake County provided information that identified Berning along with specific information about the crime scene and evidence that had not been released by law enforcement. Agents from Brevard County traveled to Lake County where the investigation of Berning had been ongoing for several days. That investigation culminated today with the issuance of the warrant for Berning’s arrest. Agents believe that Berning, who previously resided in Titusville, traveled to Brevard County where he picked up the victim on the street in Titusville. Berning allegedly drove the victim to a remote area where the two engaged in a sexual encounter. Investigators believe that the encounter turned violent with Berning killing the victim. 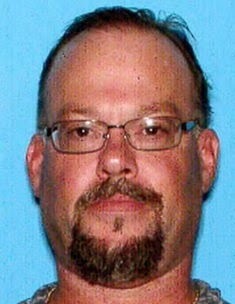 After the incident, Berning allegedly drove the victim to a location south of Titusville along the Indian River where he disposed of the body in the river. Agents have recovered a vehicle belonging to Berning, which is being transported back to Brevard County for processing by the Brevard County Sheriff’s Office Crime Scene Unit. Anyone with information about this investigation is asked to call Agent Wayne Simock of the Brevard County Sheriff’s Office Homicide Unit at 321-633-8413 or CRIMELINE at 1-800-423-TIPS (8477). All calls to CRIMELINE are confidential, and callers can remain anonymous and be eligible for a reward.